You are here: Home / Devotional / This is grace! My son, here is a company of poor miserable souls, that have utterly undone themselves, and now lie open to my justice! Justice demands satisfaction for them, or will satisfy itself in the eternal ruin of them: What shall be done for these souls? O my Father, such is my love to, and pity for them, that rather than they shall perish eternally, I will be responsible for them as their Surety; bring in all thy bills, that I may see what they owe thee; Lord, bring them all in, that there may be no after-reckonings with them; at my hand shalt thou require it. I will rather choose to suffer thy wrath than they should suffer it: upon me, my Father, upon me be all their debt. But, my Son, if thou undertake for them, thou must reckon to pay the last mite, expect no abatements; if I spare them, I will not spare thee. Content, Father, let it be so; charge it all upon me, I am able to discharge it: and though it prove a kind of undoing to me, though it impoverish all my riches, empty all my treasures, (for so indeed it did, 2 Cor. 8: 9. “Though he was rich, yet for our sakes he became poor”) yet I am content to undertake it. 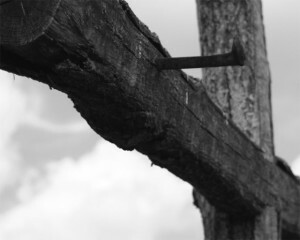 What a beautiful post….what a reminder of the cost that Jesus undertook for our salvation. It is good to dwell on such rich words and think about what God did for us through His Son our Lord. Christina…thank you for sharing such rich food for thought. Blessings my friend. Christina, this is grippingly beautiful! Thank you for sharing this gem! Love and hugs! What costly, precious grace! Thanks for sharing this, Christina. You’re right, this is grace. It’s astounding, amazing, unthinkable beautiful grace. Thank you for sharing! Love you! Such unspeakable grace, Christina! Thank you for the sobering reminder. I thank God upon my every remembrance of you, my friend. Love you! “Amazing love, how can it be? That thou my God should’st die for me”! Thank you so much Christina for sharing the fathers and sons attitude. It brang me to tears of being touched so much. Fabulous Christina….what a sacrificially loving Savior! SDG! I only mention this because I’ve had a bit of a struggle to accept my Heavenly Father’s love, and it was only when I came to terms with the fact that it was His initiative in giving up Christ for us that it slotted into place for me. I am likewise sure that this is what Flavel believes, and I entirely see the point he is making here, and it’s probably not meant to be a complete picture of all that was going on! And probably if I read the whole book that would become apparent too! Thank you… is all I have to say.